Adorable cupcake inspired projects. Many fabrics will workgreat including Minkee or Cuddle, shown in flannels. Makeunique baby shower gifts. 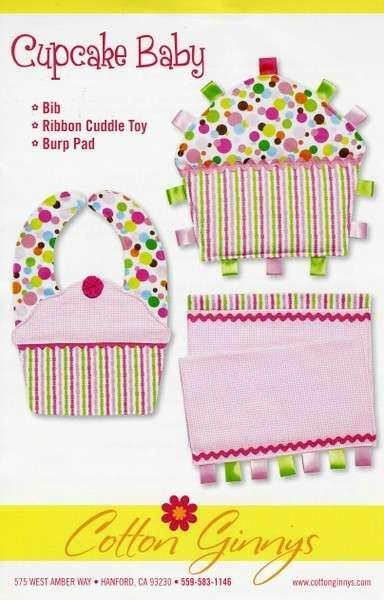 Bib: 8in x 11in, Burp pad 10in x20in & Ribbon cuddle toy: 12in x 12in. Babies & toddlerslove the feel of ribbons.